Now that December has finally arrived, holiday activities will be all the rage, with tons of merriment and spiked eggnog. And what’s wrong with free and bright? 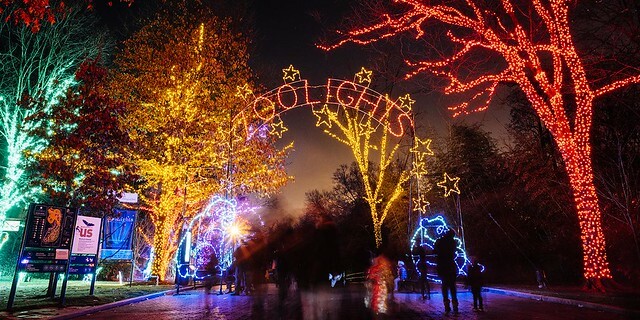 If you’ve never made it over to the National Zoo for their annual ZooLights (powered by Pepco because someone has to keep the lights on), this is the season! For those of you that have experienced it before, you know you’ll be going back. Walk along the Zoo’s main concourse to see the 500,000 glorious lights. You can also stop to check out the gingerbread houses (in the annual contest) and sip cider or eggnog. And from December 3-10, it’s FONZ (Friends of the National Zoo) member week with lots of special deals.